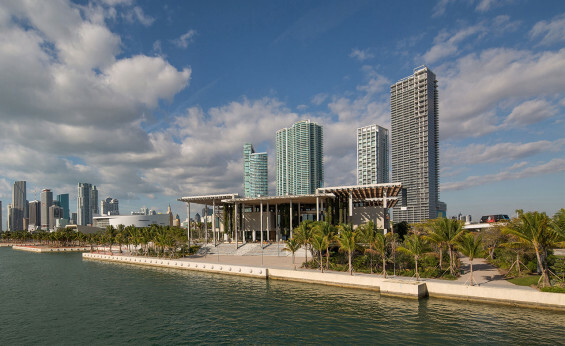 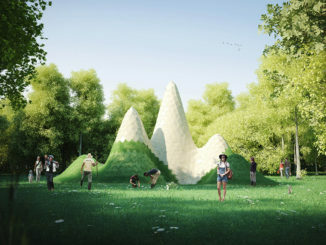 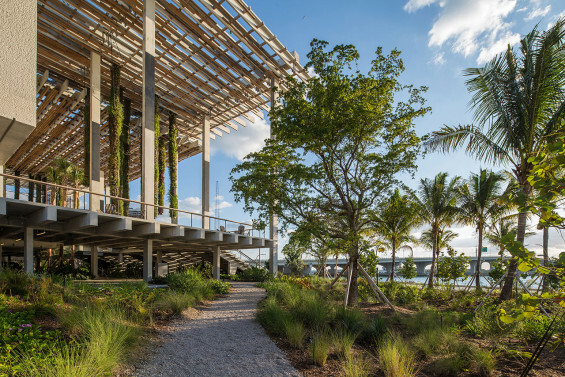 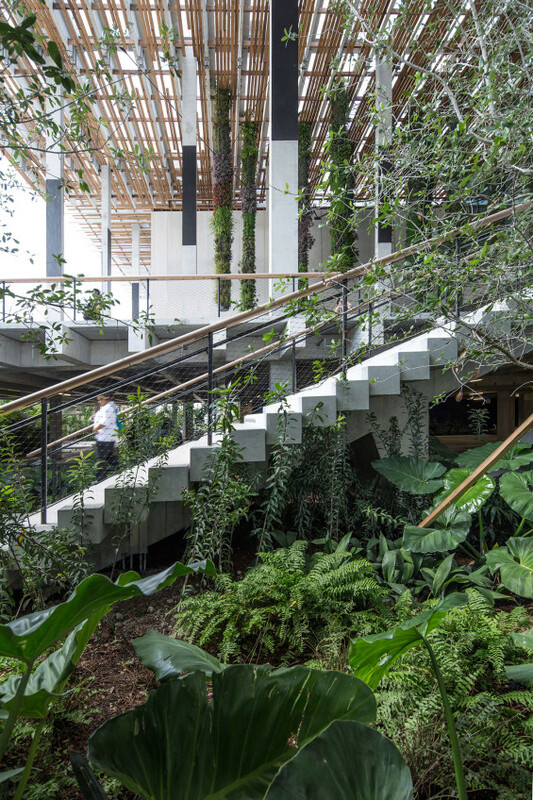 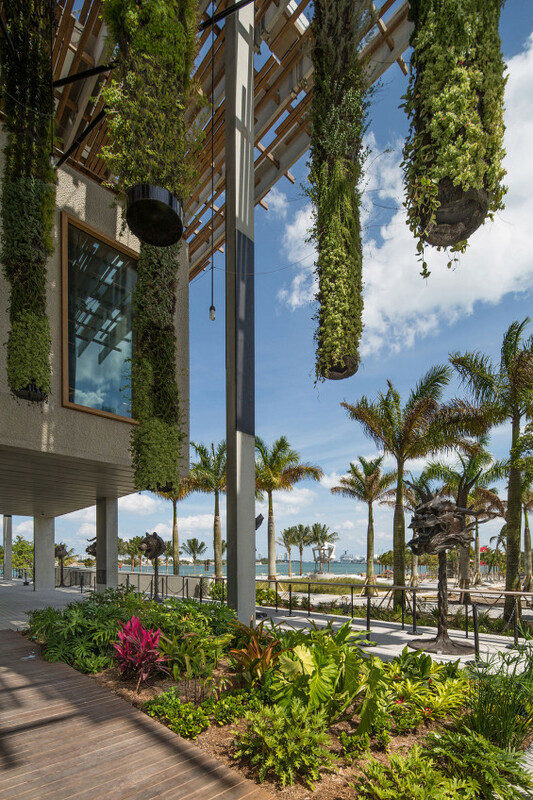 Where the PAMM building itself has been designed to express the raw material of concrete in its many forms, native plants have been chosen to display the raw materials of our landscape as complement and contrast to the geometric architecture of the building. 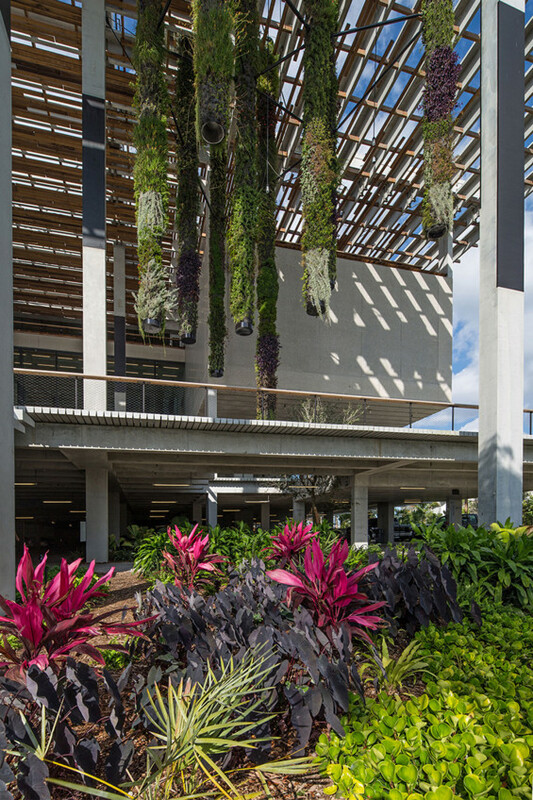 Native trees, shrubs, groundcovers and vines spring from the ground plane in a vibrant counterpoint to more formal, hanging vertical green elements. 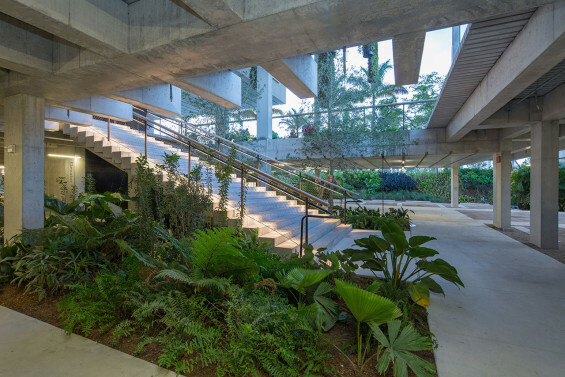 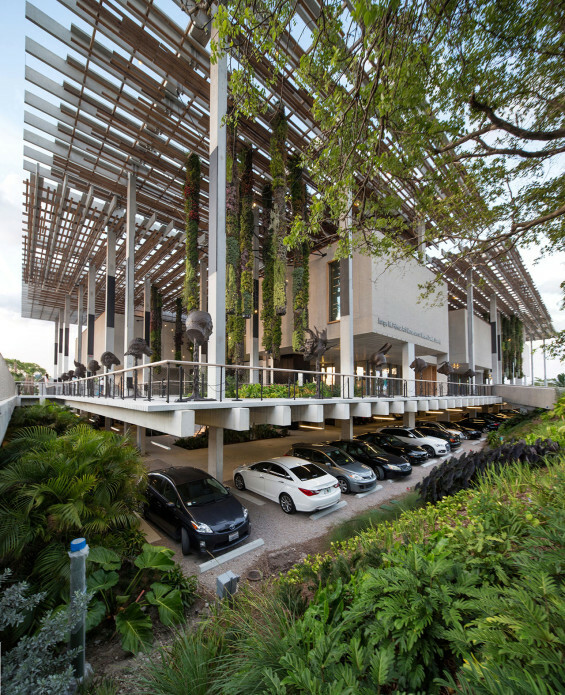 In addition to the lush pan-tropical vegetation of South Florida, landscape materiality is deconstructed to exhibit the Earth’s most basic forms, including gravel in paths, the parking garage, and in the urban concrete environment.